Our working lives can and usually do involve a lot of stress. Many people will try many solutions to alleviate the stress that gets built up through the day, allowing them to go about their duties with a much more positive frame of mind. 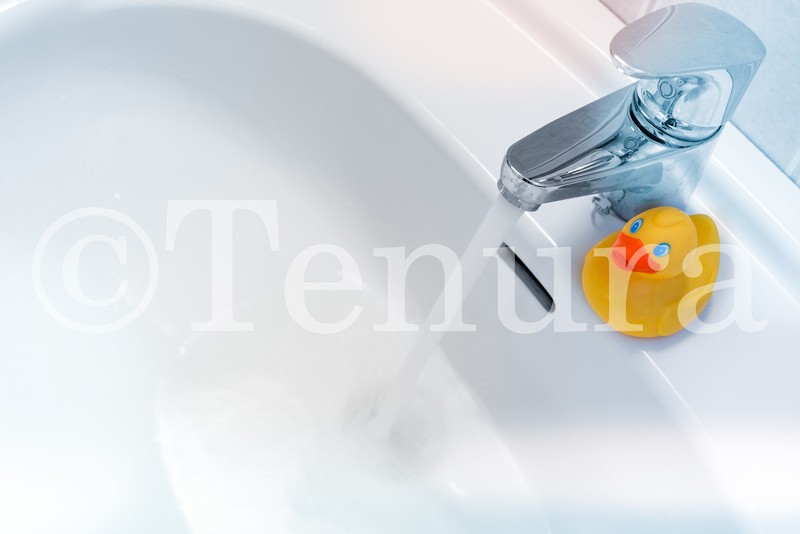 Here at Tenura, we believe in improving necessary everyday tasks, tasks that usually don’t get a second thought, especially in a working environment. But did you know if these daily tasks take longer or are more difficult than usual, they can be attributable to increasing stress levels to a far higher level? Below we discuss some ways to virtually eradicate the potential for various daily tasks and work areas from developing into stressful situations. 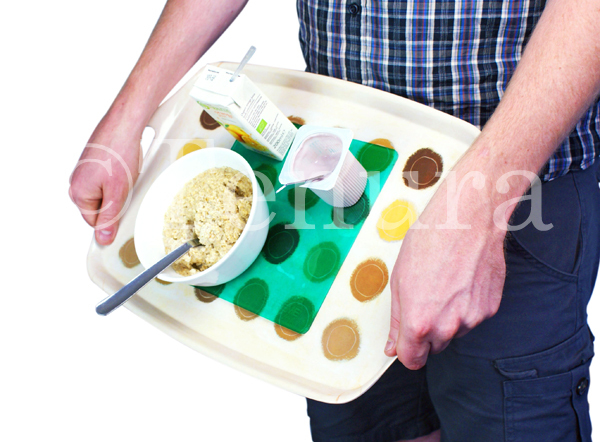 Tenuras range of daily living aids are even useful as slip prevention and grip enhancement around the office regardless of any physical impairments. 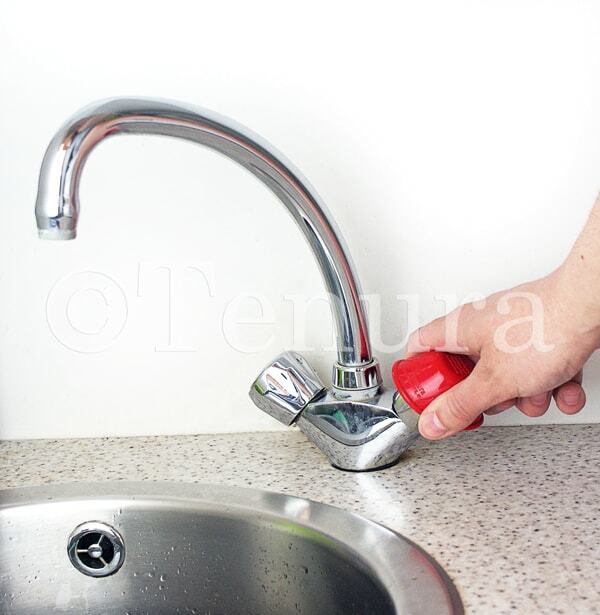 Below is a guide to areas of the office where Tenura daily living aids would be useful. Where many of us spend our working days, in an almost fixed position typing away on keys and clicking our mouse. Aside from your general awareness to sit in a correct, comfortable position, there are other things that can be done to enhance the comfort of your working day. Many desks have a veneer surface that is often quite slippy. 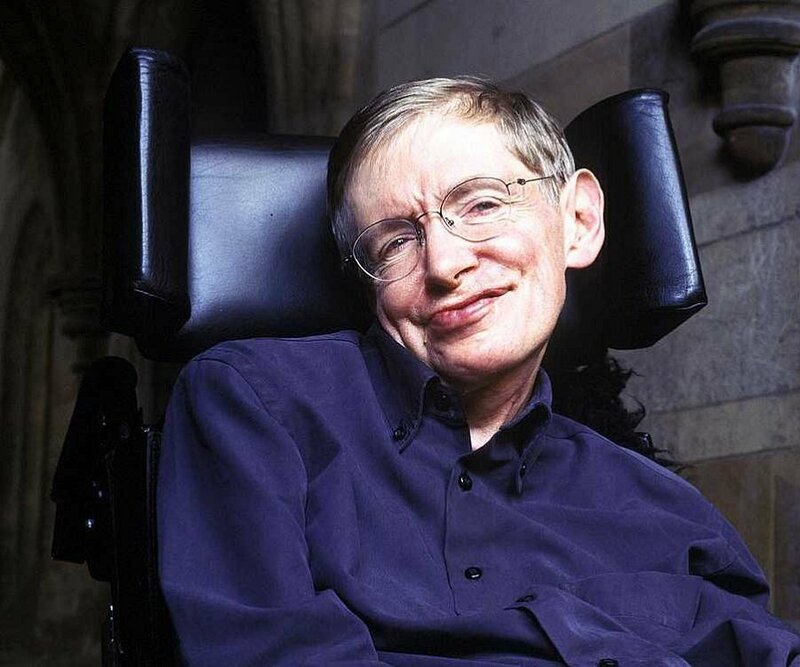 This is referred to in the industry as a ‘low energy surface’. 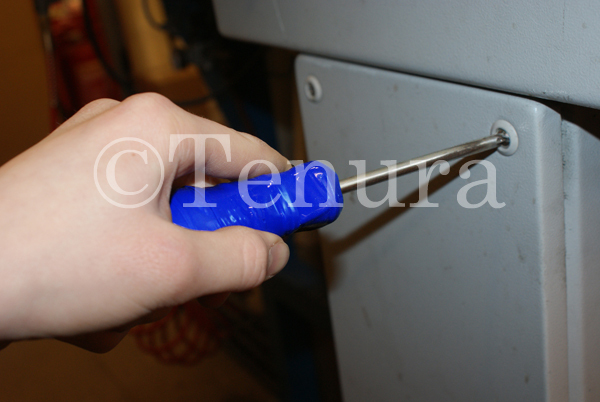 This can cause certain keyboards and mouse mats, as well as other items, to have insufficient grip, causing unnecessary movement and ultimately potential accidents and frustration as a result of this. 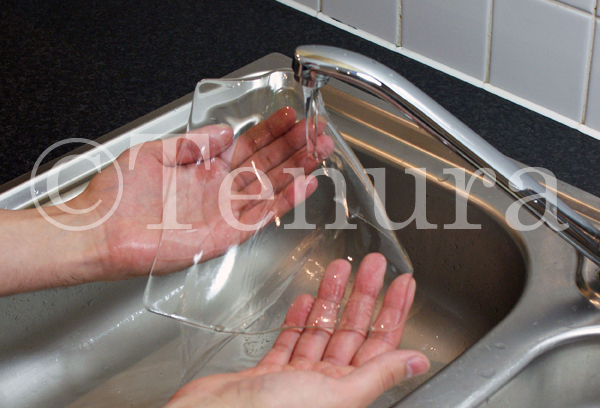 Tenura can offer various solutions to suit this particular problem. 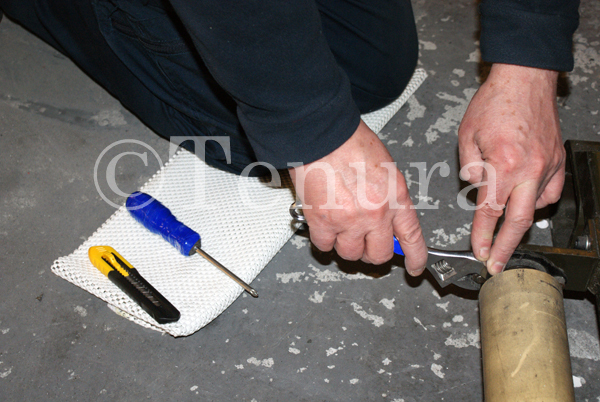 Tenuras range of anti slip mats are designed to be applied to create a high-energy surface that will help any item applied to grip more effectively to a surface. 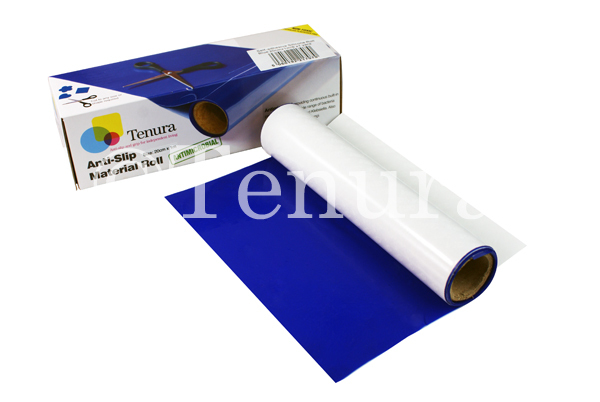 Tenura has various sized mats available to either resolve a specific movement issue with a single item or cover virtually the entirety of the working area of your desk so anything placed upon it will not easily slide about. 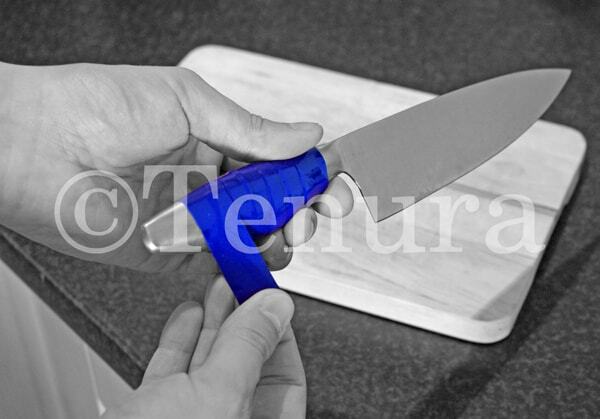 Tenura grip strips and rolls can be used as a more discreet option. 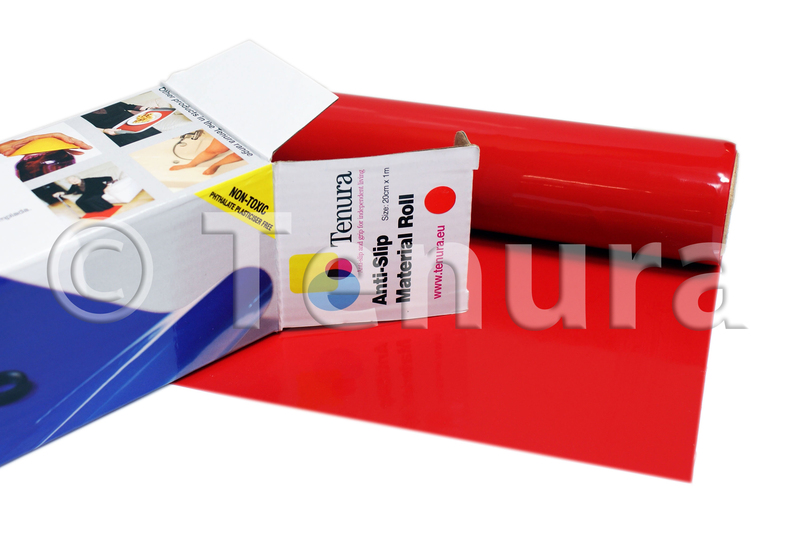 With our pre-cut strips or full rolls for you to cut to size and shape yourself, you can create an anti-slip solution that you are happy with. 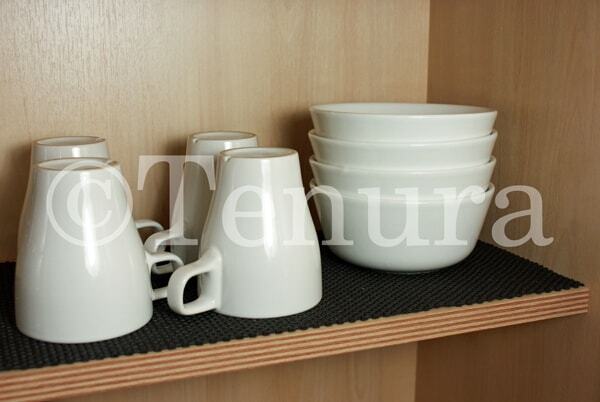 By being selective about how you place your Tenura anti-slip daily living aids, you can keep the aesthetics of your working environment as you like them whilst improving working comfort. 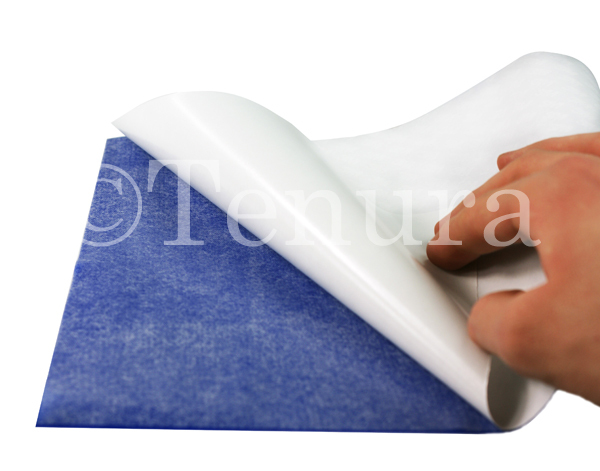 Tenura non-slip fabric is also an excellent option. As well as being non-slip it can provide a more cushioned surface to provide relief for elbows, forearms or wrists whilst typing all day. 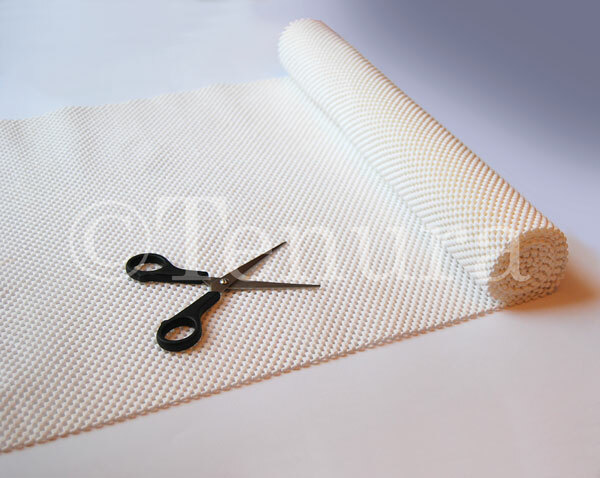 Supplied in rolls, and being very easy to cut to size, the possibilities are virtually endless, provided it is a cushioned, non-slip surface that is required. 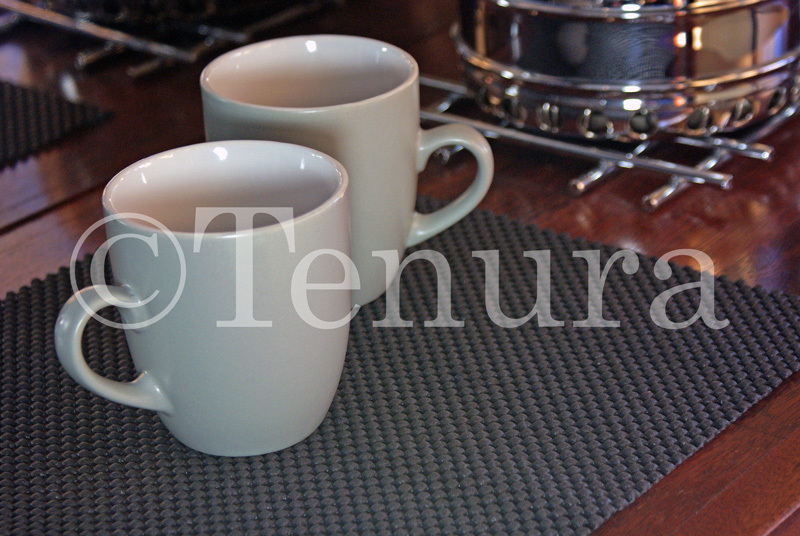 For that mid-morning or afternoon coffee, tea or whatever drink you need to get you through the day, Tenura coasters are available in a range of sizes and styles to ensure you can buy one that is perfect for your needs. Want a coaster that will happily sit on your desk until it is required? Try our 4 pack of square coasters or single pack circular coasters that are available in two sizes. Want one that will go wherever you go? 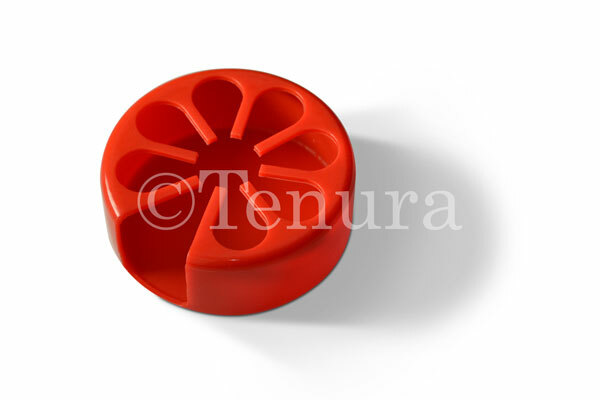 Tenura moulded cup holders are perfect for that office worker who is always on the move. 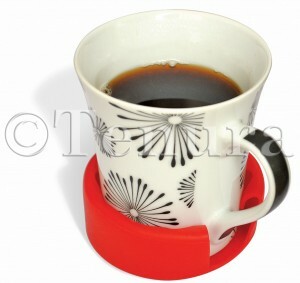 Wherever you and your mug go, you can be sure there is always a coaster there. 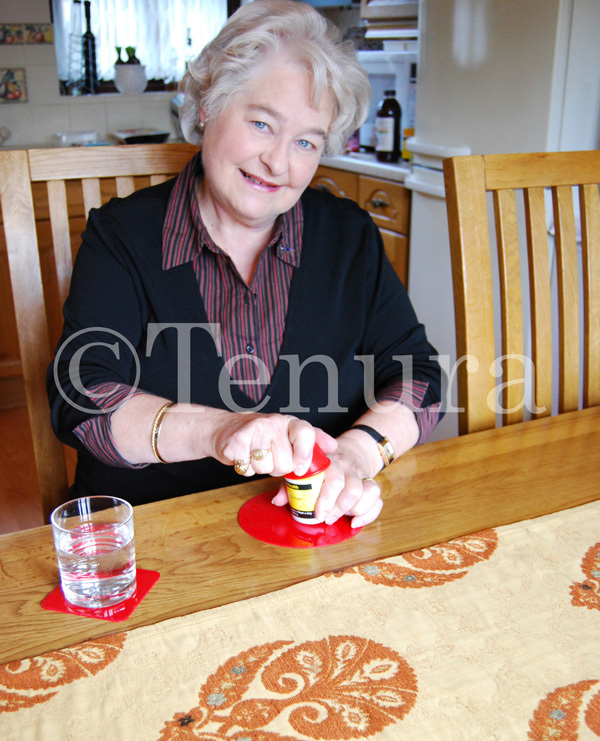 All Tenura coasters can be viewed right here. 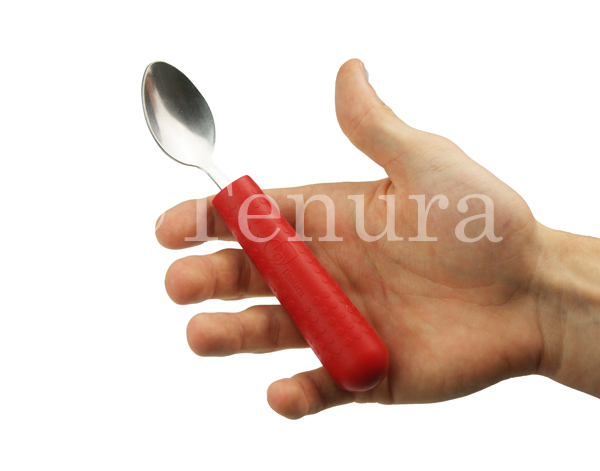 For those who experience discomfort or lack of grip with pens and many other hand-held utensils in the office ( knives and forks at lunch time, as one example ), then Tenura have options to help you there also. 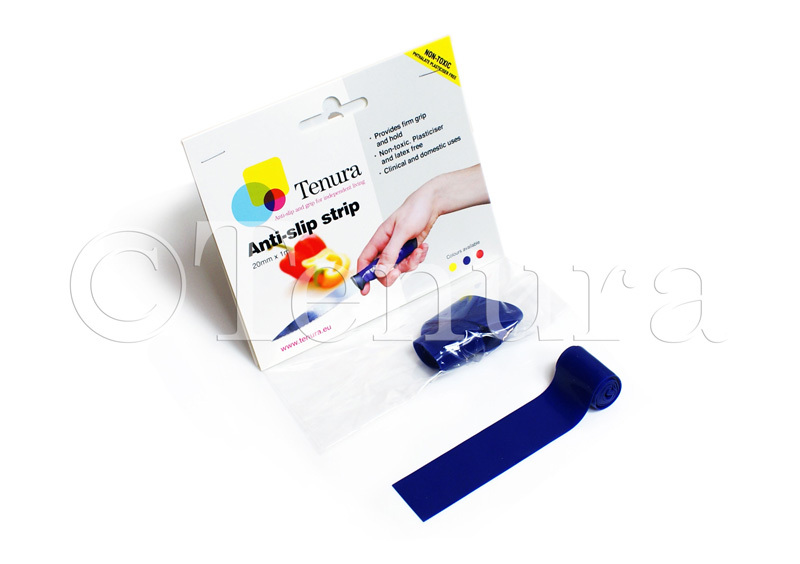 Tenura grip strips, again can be used as an effective solution to the problem. Pre-cut strips, or even rolls that can be cut to size, can be wrapped around the item to increase surface size, resulting in a larger, more comfortable surface area that decreases strain on joints and the need for as much strength of grip to be applied. 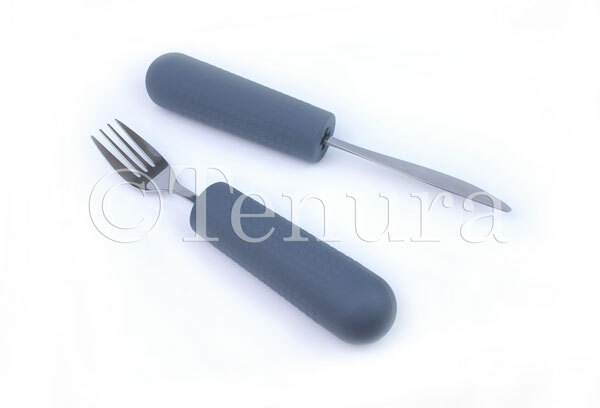 Tenura cutlery grips are also another solution. 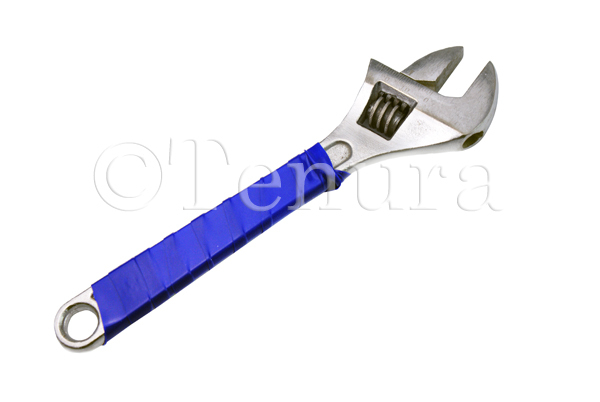 By inserting the pen or similarly held utensil into the end, you instantly increase the surface area. This results in a much easier and more comfortable to hold item. Tenuras aim is to improve daily living for everyone, and we hope that by using our daily living aids, we do indeed accomplish our mission, meaning you can perform day to day activities with much more ease and in greater comfort. 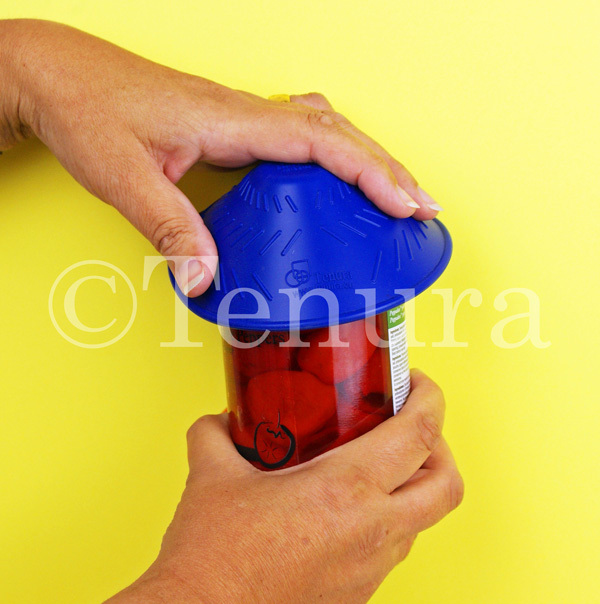 Many of the Tenura daily living aids mentioned in this article have various size options and colours available. 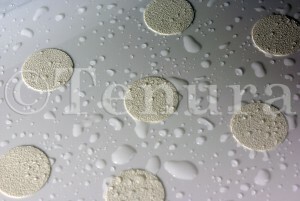 Please visit the website to find out more, or alternatively contact the Tenura sales team by phone, live chat or the contact us form on the website. 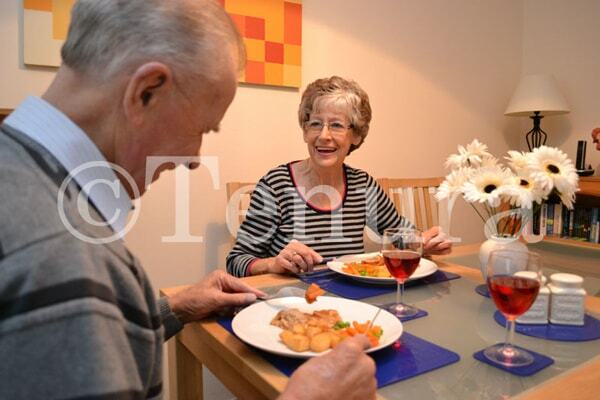 Posted in Daily Living Aids, Independent Living and tagged tenura, daily living aids, office on 27th February 2017 .